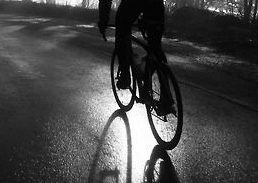 Any cyclist knows that bicycle tires make all the difference in a ride. Early in my riding career, I had to finish a long ride with a flat tire and learned first-hand about the importance of quality tires. I also learned the next week how to fix a bicycle flat! Thinking about tires recently gave me the desire to research the history of bicycle tires. For those of you interested in knowing how bicycle tires evolved to the point they’re at today, this post is for you. If we wanted to begin at the true origin of the bicycle tire, we’d have to start around 3500 B.C. in Mesopotamia. Mesopotamians used animal driven carts to help them with their work for many thousands of years. Fast forward to the 19th century, the Industrial Revolution took place and started bringing about more uses for the wheel in man-powered machines. As described in The History of the Bicycle, bicycles as we know them didn’t come about until the mid to late 1800’s. The very first bicycle tires came about on velocipedes. Velocipedes, or “bone-shakers,” were invented in the 1860’s. The tires on these first bikes were merely iron bands on wooden wheels. These were followed by the Penny-Farthing (read more in The History of the Penny-Farthing) that featured one large wheel in the front and one small wheel in the back. These extraordinary bicycles had wheels made completely from rubber. It was around this time that the patent for “rubberized wheels” was granted to Clement Ader in 1868. The bicycle tire made another leap forward 19 years later when John Boyd Dunlop created the first pneumatic (with air) tire in attempts to lessen his son’s headaches while riding his bike on bumpy roads. Dunlop’s idea landed him in creating his business, Dunlop Pneumatic Tyre Co. Ltd in 1889. In the next year, a tough canvas layer was added to reduce holes and punctures. Those who rode bikes for sport quickly switched to pneumatic tires so that their speed could increase. Edouard Michelin made the first detachable tire in 1891 that held on the rim with clamps instead of glue. Since bicycle tires were developed in the late 19th century, they have come a long way. Now, there are many varieties of bicycle tires that cyclists must choose from. Most tires these days consist of cloth casing (usually made from nylon) covered by a rubber tread. The tread of the tire is made from butyl rubber and are generally offered in many different styles and colors. Furthermore, the patterns of the tires vary from smooth to knobby depending on the type of bike you have and the performance you desire. In addition, the width of tires now varies from slim road bike tires to Fat Tire Bikes. Two popular techniques of attaching bicycle tires to rims are called clincher (what most bikes have wherein beads interlock with flanges in the rim) and tubular (using adhesive glue to secure the tire). Clearly, there is a great variety in what kinds of bike tires are available in this day and age. Bicycle tires have come a long way from the wooden wheels of the 1800’s. 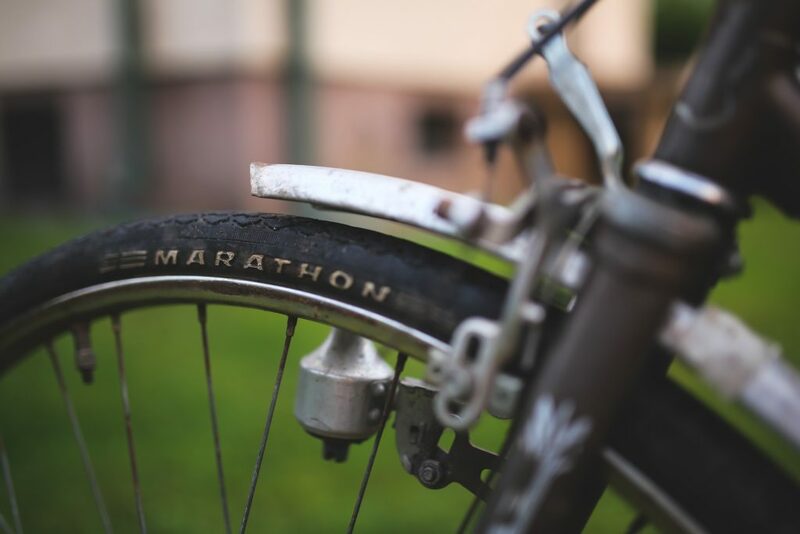 Next time you’re cruising on your bike, think about the history of bicycle tires to gain a new appreciation for the comfort and performance of your ride.